I started implementing these strategies less than a month ago, and the results keep getting better EACH DAY! I have gone from 200 views daily to about 1,000 views daily AT LEAST. In fact TODAY, my views are over 1,700! The previous days were at least 1,000. This is HUGE for me. For a while I was only getting about 5,000 page views a month. But once I started to focus on my strategies, that’s when my blog traffic really EXPLODED. It’s hard work but once you figure it out, it’s worth it. This was before I started implementing my strategies. Less than a month ago. So here is what I have to suggest to you, & maybe you will see the same results I did! Would I come back to this blog again after reading this? Does this post provide valuable content? Is this post easy to navigate through? OR does it appeal to the eyes? One mistake that I find bloggers to make is making their post unreadable. They fill their post with SO many pop ups and ads that you can barely read through the post without getting distracted. Make sure you aren’t filling your posts with useless pop ups. I know monetization is a goal for many, but having multiple pop ups and ads isn’t necessary, it’s frustrating. This is a huge part of what keeps your audience coming back for more, in result creating more traffic! You need to make sure that your audience trusts you! Not only will it keep them coming back for more, but it can help with monetizing your blog in the future, (making sales). Make your readers feel valued, share free valuable information, and engage with your audience! The more of a personal connection you create, the more your readers will want to come back to your blog! Have them always leaving wanting more! RIGHT?! When I first started my blog, Facebook groups is what I gravitated towards! There are so many helpful Facebook groups out there filled with supportive bloggers who help answer questions and give advice. 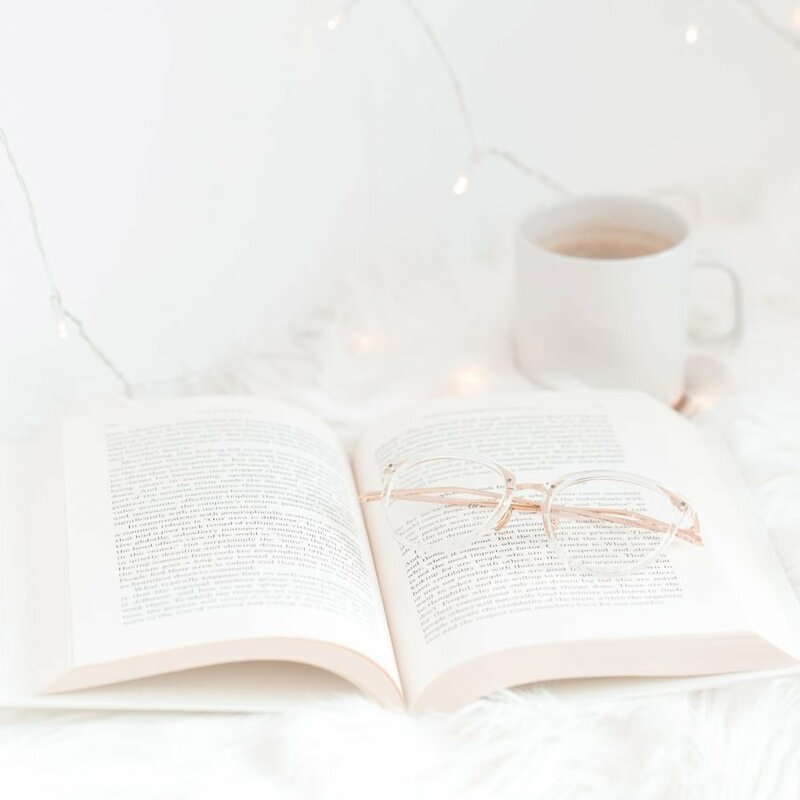 The best part about most of the blogging community Facebook groups is that they usually have daily threads where you can promote your social medias and blog posts! This can be a great way to score some extra daily views! Another thing I can recommend about Facebook groups is creating your own! My blog REALLY took off thanks to deciding to take the leap to create my own community! I created Boss Girl Bloggers early May 2017. It’s been 8 months and now my group is filled with over 25,000 female entrepreneurs and bloggers! I absolutely LOVE my group and everyone in it! The thing about having your own Facebook group is that it’s YOURS. You can decide how to run it. Posting my blog posts in my group to share with my members helps a ton! The best part is, these members are a part of your group because YOU are providing them with valuable information! They respect you and your thoughts! It’s like your own community of friends! I think of my Facebook group as my “ride or dies” – I know they appreciate my input so they push me to continue to provide as much valuable information as I can! If you want to read more about why you should start a Facebook group & how to grow it, read it here! I honestly think this is the golden key to the explosion of blog traffic! If you figure out how to properly use Pinterest to grow your blog, you will SERIOUSLY explode the traffic! It will shock you. This topic is so huge that I actually created an E-Book that is filled with all of my Pinterest blog traffic strategies and how I also use Pinterest for affiliate marketing! In just less than a month, utilizing this strategy made my blog views go from 200 a day to 1,500 a day. I get at least 700 views a day just from Pinterest alone. Sometimes even more! I also started making over 3,000$ a month through my blog after utilizing these strategies too! This might not sound like a lot for those who are more advanced in their blogging journey, but for just 8 months of getting my blog up and started, this is HUGE growth for me! The power is in Pinterest – I’m tellin’ ya!!! This is especially important for those who are beauty/fashion bloggers. Instagram is a very visual platform, which is why beauty and fashion bloggers can really explode due to Instagram! When I have a new blog post up, I will share about it on a new Instagram post AND I will also utilize my Instagram stories to let them know as well! Using both really helps. Instagram stories will maybe reach those who might not of seen your Instagram post itself. Make sure to leave a link to your blog post in your bio! If you have over 10k followers on Instagram and you are a business account, you can actually use the swipe up feature on Instagram stories to generate traffic to your blog as well! Everytime I have a new blog post, I make sure that I share it with my followers over on twitter! This is something that is so important to do! Think about it, do you want a reader to come onto your blog, read one blog post, and then leave? NO! You want them to continue to browse through your content, read as many posts as they can, and get those views up for you! A great way to do this is by adding links to your old blog posts, in your new blog posts! This also helps to make sure your old blog posts are still receiving some action and aren’t left in the dark! You should always link back to at least 1 or 2 previous posts! If you don’t already have an email list growing, it’s time you start! Your email list is KEY to getting readers to come back, and even eventually marketing products and services. An email list is essentially those who “subscribe” to your blog and want to receive emails and updates from you! One of my favorite email list builders that I use is MailerLite. They are so user friendly and free for up to 1,000 subscribers! A good way to grow your email list is by creating an opt in (something that those who subscribe to your blog will receive for free) For example: My opt in is a 28 day blog challenge! This has helped grow my email list a ton! Just get creative with it! Your options are limitless! Once you have your email list growing, you can email monthly or weekly newsletters that link to previous posts you’ve posted that week or month! Once I started self hosting my blog, I noticed an increase in traffic. This might just be because I became more dedicated to make it happen (because I was investing in my blog) BUT Self hosting also allowed me to use plug ins, and make my blog look more professional! Self hosting is when a server “hosts” your blog for you. They don’t own your blog, YOU own your blog. They are just letting you use their servers which is why self hosting costs money! There are platforms like Squarespace that have trouble with SEO..I hear they are getting a little better but Self hosting WordPress is ideal in my opinion! Now, I am able to have control over my blog completely, I can use amazing plug ins, grow my email list, and design my blog ANYWAY I want! It’s limitless. My favorite host is SiteGround. Mainly because I LOVE their support team. They ended up transferring my account from wordpress .com to a self hosted wordpress .org at NO additional charge. Their packages start at 3.95$ a month. I paid 48$ for an entire year. So worth it, and not even that pricey at all! Once you sign up, you install wordpress onto the servers (your account) and that is the wordpress .org version that includes plug ins etc. Their support team helped make my transfer experience a breeze and I will forever recommend SiteGround to all who wish to grow a successful blog! If you ever need help or want their assistance setting up, just message their live 24/7 chat team and you get instant help! Something I hear blue host (another self host server) lacks in. Let’s face it, there might be days where we didn’t have the time to create a new blog post. Things don’t go according to plan, it’s life, it’s inevitable. Bringing old posts back to life is a quick and great way to bring traffic to your blog, especially when you may not have the time to create a new blog post. Go back to old posts and create new “pinnable” images, proofread, fix any mistakes, and add any additional updated content if you are able to. Then RE SHARE! To all your social medias, Pinterest, etc. I absolutely love doing this especially on Pinterest. It brings traffic to ALL my posts, even the old posts. Keeps old posts alive. Make sure you are keeping track of your analytics. If you notice some posts outshining others, that’s when you know your audience LOVES that content. Can you build off of it? Create a part two? Or an updated version of that popular post? Always try to create content that you KNOW your audience will like. I continue to update and add to that popular post, and create content that can relate to that post because I know it’s what my audience enjoys reading! If you don’t have social media share buttons on your post, this can create a huge issue. This makes it so that your audience can’t share your post to social medias, which is opposite of what you want! If they are able to share to social media, it helps spread your content and expand your reach, allowing you MORE TRAFFIC. Something that is really important when it comes to growing your blog traffic is staying consistent! Having a blog schedule helps a lot. That way your readers KNOW when you are going to update next, and can look forward to those days for a new post from you! Having a posting schedule like: Monday, Wednesday, Friday OR Thursday, Sunday, Tuesday. Etc. If you post once a month, or have long streaks where you aren’t updating, this can affect your blog traffic. Essentially, the more you post the more your blog traffic will increase. USUALLY. But posting consistently as well as MASTERING your Pinterest Strategy are KEY when it comes to blog traffic! I hope these tips help you! Growing your blog traffic is hard, especially in the beginning! But once you figure out a strategy, you are GOOD TO GO! And watching the traffic explode is quite a crazy rush! This is a very helpful post!! Tons of great tips!! Helpful tips as always!!! I love how your blog tips are always so detailed and genuinely out to help others succeed! I’m super happy and proud of all your accomplishments Ell! From your humble beginnings to believing you wanted and deserved more, so much more and NEVER settling for anything but your dreams as well as reaching important milestones in a short period of time! All the hard work and long hours and implementing the best strategies are finally paying off big time! Well done! Blessings and success today & always! These tips are so helpful! Definitely need to start added more links into my posts. Thanks for the info! Excellent post! I really look forward to seeing your stuff in my feed. Inspirational indeed! You’re one smart cookie! Thank you so much for sharing! I definitely need to go back and revamp some of my first posts. I didn’t know a lot of this and think it’d be a great opportunity to increase my blog traffic. Great tips. I know I can work a few things. I always forget about revamping older posts. Thank you! I think it’s about time I have another giveaway. Thanks so much for breaking it down! This will be a helpful post for me to refer to. It definitely will! Have faith(: and thank you so much! I love you blog and believe you have definitely made all of the bloggers around you want to see and learn more. Thank you for sharing all of the tips with us. After, signing up for you 1st course. I have seen a change in the engagement and audience that I now have after two months of blogging. You always have great tips! Thanks for sharing! Thank you for the tips! I am a part of your Facebook group and I LOVE all the helpful information and the support given! These tips are all so practical, thank you! Now if I can just make myself follow through with them, or at least pick a few to start working on, maybe I will be better off. If you had to choose two to four of these that you think NO blogger should overlook, which ones would they be? So glad you enjoyed them!! I would definitely focus on Pinterest for sure and Facebook! Instagram if you are fashion/beauty niche! Wow kudos to your hard work and resilience! The Instagram bit is quite surprising – I’ve been putting up a few featured images of my recent posts to tell my followers I’ve a new one up. Surely enough I saw on analytics I had traffic from IG, albeit low in numbers and high in bounce rate… Just sharing! Very cool! I am working on building my audience right now and all these tips will definitely help. I never thought much about using Instagram or Pinterest but I will definitely use it now. What other social sites do you recommend? And how do you build an audience on a group on Facebook if you made it yourself? You said there were some good Facebook groups to join and post on for both help and guidance, what were those? Twitter is great too! & Yes I grew my own FB group and it’s helped a lot! But some other great ones are blogging boost, blogging newbs, bloggers supporting bloggers! Awesome tips for anyone who is in the growing stage of their blog. I have been focusing more on blog growth with my blog for the past 2 months. Pinterest has definitely been a huge part of it and I couldn’t imagine trying to grow my blog without the help of Tailwind. I have found that by focusing more on Pinterest and really learning the ins and outs, I am actually growing my blog. It does take time to learn how to use the platform, but it’s so worth it. Oh, and high-quality content is a must if you want to turn your readers into actual subscribers. I always make it a point to publish quality content. Otherwise, what’s the point? Consistency seems to be the key to growing a blog. It takes time and it isn’t always pretty, but consistency is what’s going to win in the end. Thanks for sharing these tips and I have no doubt they will help anyone who is trying to grow their blog. I’ll be sure to pass it along to help others who are struggling to grow their blog. Thank you so much and you are so right about all of that! Isn’t tailwind a life saver!!! I’m a newbie so I’ve been reading alot of articles like this lately. Thanks for the great info! So glad you enjoyed it thank you!! You will see success in no time! Keep up the good work! So many helpful tips! I can’t wait to implement them into my blog. I’m really new to blogging so this has given me lots to think about. Thanks for the post!! Thanks, Ell. Some golden reminders for me – I’ve left my Facebook groups idle for a long time. Appreciate the sharing!